Spiroflow Holdings, Inc., announces the appointment of David Rose as Managing Director Spiroflow Automation Solutions, Inc. Mr. Rose joins Spiroflow's executive team at a time when the company continues to grow within its traditional market segments as well as its Systems Integration business. Mr. Rose brings experience in operations management, organizational design and business development in the manufacturing and engineering industries. 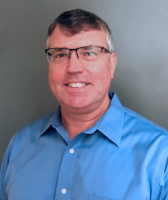 He comes to Spiroflow from Precision Castparts Corporation where he held the position of VP & General Manager of their Materials Business based in Charlotte. Previously Mr. Rose served in a variety of business leadership roles as President, CEO and Managing Director for GE, and various other aerospace, railway, and building products industry companies. Mr. Rose holds a Bachelor's Degree in Industrial Management from Gannon University in Erie, PA. He is also a graduate of GE's Manufacturing Training Program and is certified as a Six Sigma Master Black Belt. Spiroflow Automation Solutions, Inc. is a full-service industrial control, networking, and automation provider. The company's goal is to provide their customers with processes that work smarter and more efficiently. This is accomplished by providing highly efficient and cost-effective automation solutions. The company has offices in Monroe, NC, Cleveland, OH, Chicago, IL, Greer, SC, and Orlando, FL. Primary markets include the food, dairy, beverage, confectionery, themed entertainment, paint finishing, wood products, OEM manufacturing, and more. To learn more visit our website at www.spiroflow.com, email [email protected] or call (1) 704-246-0900.